After releasing your binary firmware or application, attackers can still retrieve information you believed safe. The process of extracting information from binary files is known as reverse engineering and is a fundamental embedded system security technique. We use a hands-on approach that gives you a solid understanding of the techniques to navigate, instrument and analyze binary code. 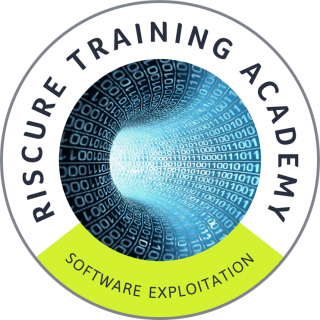 The course is aimed at security analysts who want to understand the basics of reverse engineering to discover vulnerabilities in a black-box scenario. Reverse engineering is a skill useful for application developers, who want to understand what vulnerabilities are introduced during compilation. Have you always wondered how to take a piece of software apart and understand its inner workings? Have you wondered how to extract useful information from a binary file? 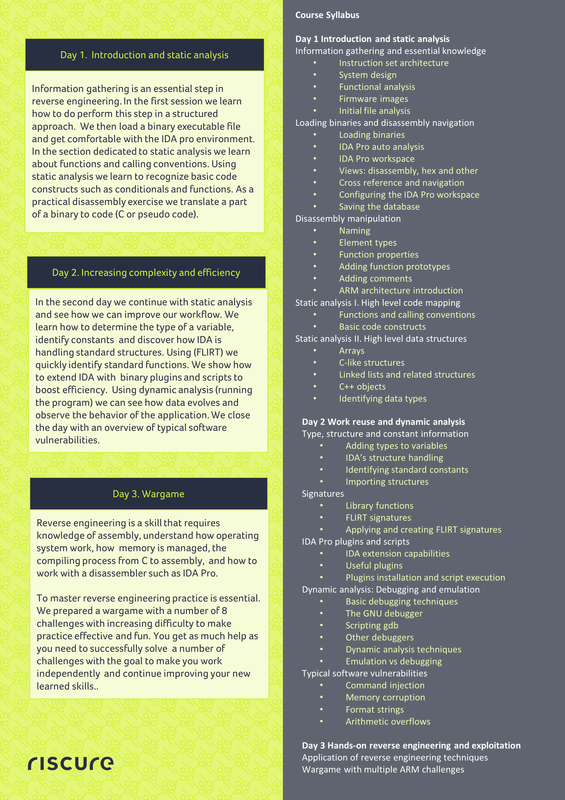 The Reverse Engineering training for software applications aims to do just that. During this training you understand the functionality of compiled code by combining static and dynamic analysis techniques. During the training we focus on the ARM platform. We use exercises throughout the course to teach the skill of reversing. code translates into binary. 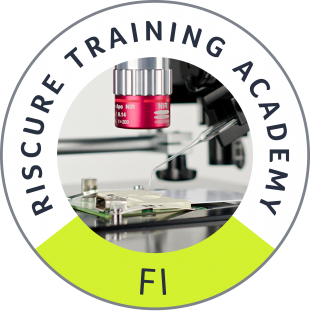 Riscure will provide laptops with the required software, including Riscure’s licenses for IDA Starter. Reverse Engineer ARM binary code by using static and dynamic analysis techniques. In this training you will look at an automotive solution from an attacker’s perspective. You will learn how ECUs can be hacked, and identify ways to apply this knowledge to your product and make it more robust.